What kind of parent would chose to remove a child from the benefits of civilization for a life “off the grid,” living in the woods and foraging for food and shelter? You may recall that as the plot of 2016’s Captain Fantastic, starring Viggo Mortensen as a man who takes his wife and six children into the forest to teach them self-reliance and to keep them safe form the corrosive effects of modern culture. 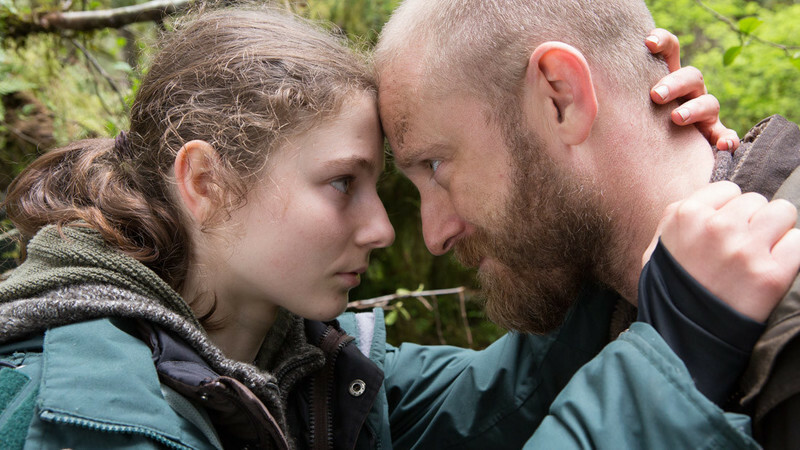 That bunch lived in luxury compared to Will (Ben Foster) and Tom (Thomasin McKenzie), the father and teenaged daughter we follow in Leave No Trace. At first they look like they could be on a camping vacation in the Pacific Northwest, albeit a particularly bare-bones one. But as we observe their life in the woods, we see evidence that they’ve been here for more than a weekend: Tom saves the shells from an egg to make a border for an herb garden. Will occasionally barks “Drill!,” at which point the two practice running and hiding. Who Will thinks they might need to hide from isn’t clear. 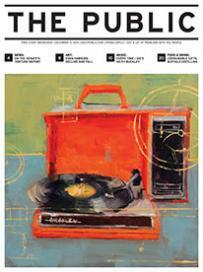 But one day he listens to the noises around them and says, “Drill—for real.” They are corralled and taken to the nearby city of Portland, where well-meaning social workers try to decide what to do with them. “Your father needs to provide you with a home,” Tom is told, to which she replies, “He did.” She doesn’t see themselves as having been homeless if they made their own choice where to live. “I opened the door, and there I was,” says Bobby Shafran of the first time he met Eddy Galland, when both of them were 19. The shock of recognition was due to the fact that they were identical twins who never, until that moment, knew the other existed. How they came to find out about each other is an utterly implausible but true coincidence that the documentary Three Identical Strangers takes its opening scenes spinning out. The more perspicacious among you are doubtless saying to yourselves, “Wait a minute, three strangers?” That’s right. The reunion of the Long Island twins in 1980 was widely covered in the local newspaper, which is how they and a fellow named David Kellman learned that they were triplets. That’s when the media really hit the story. The brothers got matching outfits, went on Phil Donahue and cameo’d in a Madonna movie, partied as hard as the milieu permitted, and opened a Manhattan steakhouse called—what else?—Triplets. With an eye on what brings audiences in to see a documentary these days, director Tim Wardle has carefully fashioned his material with the structure of a thriller—at least, as best he could. The problem, which stopped the project when it was in the hands of other filmmakers, is that it doesn’t have a satisfying conclusion. All of the parties who would be in a position to clarify what happened are dead, and while there are substantial amounts of research material, they are in a sealed archive in a Yale library, restricted until 2066. (Subtle attempts in the final reel to demonize an elderly man who had nothing to do with the project leave a bad taste.) If the success of this film leads, as it should, to the opening of those boxes at Yale, I’m sure they’ll give Wardle the material to finish the tale.